Like the mysterious Shades who toil in Mortasheen city's inner workings, the Demishades consist mostly of a crystalloid skeleton and organs suspended in an energy-absorbing fluid matrix, resembling beings of pitch darkness outside of their protective biofiber skins. 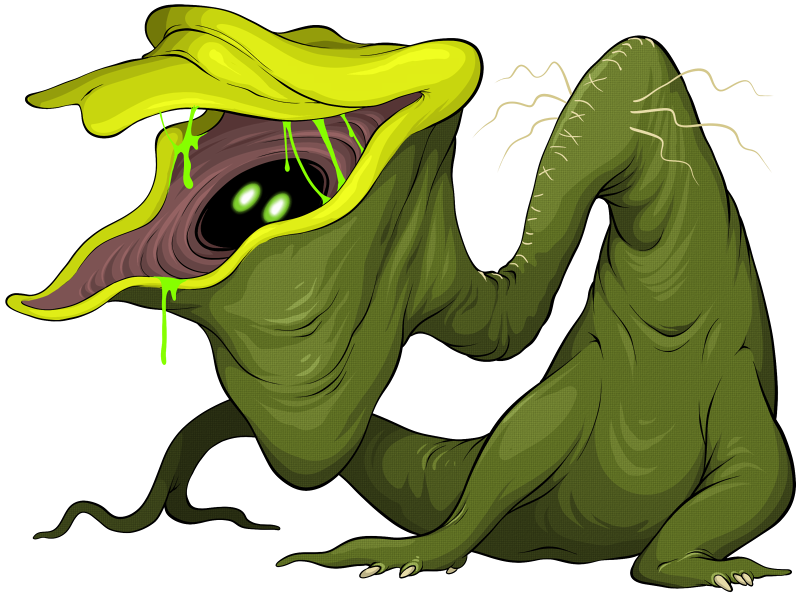 The most ravenous of the demishades, the Dispewsal will attempt to swallow virtually anything, living or otherwise, that it can verify or reasonably presume is unwanted, its boiling hot innards and caustic enzymes reducing most matter down to a homogeneous yellow "soup" stored in sacs throughout the monster's body. A Dispewsal typically exhibits a jolly, friendly temperament with a raucious, sometimes vulgar sense of humor, often entertaining itself with lewd songs and bodily humor as it goes about its disposal business. Dispewsal seem to have been created especially to consume otherwise useless materials, including dead or unwanted bioforms, and convert them into raw fuel for higher-priority biotechnology. They are often paired with an Extermineater to rid an area of refuse along with the smaller organisms it may harbor. QUASIBIOLOGICAL: the monster's mix of organic and inorganic components renders it highly resistant to extreme environments and many microbial or chemical weapons. INGESTION: the Dispewsal eats almost anything, and digests it quite rapidly. 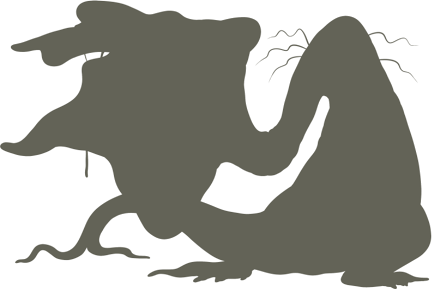 STOMACH SOUP: the monster's gastric contents are a high-energy food source for other monsters and biomechanisms.